Maybe you sometimes feel lonely and isolated, and you wish that you could believe Spirit is watching over you. Or maybe you often have the feeling that someone or something is trying to get through to you, but you can’t quite tune in. Either way, you can be sure that spirit beings are caring for you and attempting to make contact. You notice ‘coincidences’ that help things fall into place for you. This could involve running into someone who has information that you need, coming across a magazine article or web-site that seems to answer a question for you or finding the right course or workshop ‘by chance’. However, none of these things are mere chance. They are ‘synchronicities’, which means they are meaningful coincidences telling you that your life has a pattern and you are being watched over. When synchronicities happen, never dismiss them as random. Notice them for what they are and say ‘thank you’ to whatever spiritual power is working for you at this time. One of the principal ways that spirits make contact is when you dream. We all dream, every night – it’s just a question of whether you remember these dreams or not. To remember your dreams, start by asking for meaningful dreams, just before you settle for the night. Stretch, breathe deeply and affirm that you want a meaningful dream. Ask whatever power is watching over you to send you one. You should soon start to remember your dreams, but if this doesn’t happen easily, change your bed-time and routine. Your dreams are waiting to speak to you. These are objects brought to you by spirit. There are stories of very dramatic apports, where books and artefacts have been transported long distances by spirits, and appear on your table. Mostly, however, apports are much more subtle. 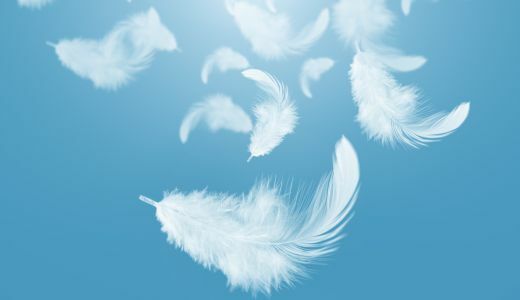 One of the most common sorts are feathers, and these are said to be messages from the angels. When you see a feather in an unexpected place, you can pick it up or simply note it with gratitude. The more you acknowledge spirit communications the more they will come to you. Have you ever heard a voice in your head calling your name, just as you settle to sleep? When your brain changes rhythm and sleep approaches, your intuition is more active. These are the times when spirit communication can break through. If you hear your name being called, don’t dismiss this as imagination or think you are going crazy. Just reply by saying ‘I’m here, I’m listening’ in your mind. You may find that the ‘voice’ was a wake-up call about something that is happening in your life and if you take it seriously you can get more helpful messages. If you are trying hard to be ‘spiritual’ it’s all too easy to ignore your body. However, your body is close to your instincts and it may register impressions that your logical mind excludes. If you want to know more about what’s happening, whether a particular person is genuine or a place has a good or bad vibe, tune in to your body. 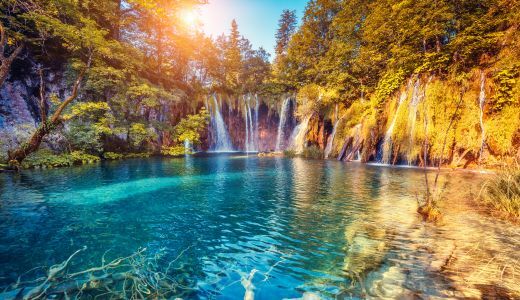 If you feel cold or hot, if you have shivers or aches, or feel a sense of lightness and well-being – all these are an indications of what the spirit world is trying to convey to you. 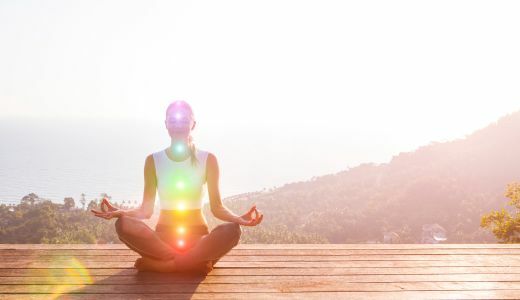 In your efforts to connect with spirit, always consult your body. Scent is very basic and instinctual. Spirits often use this to communicate. Many people who have passed over show they are with you by bringing their personal scent, whether this is a perfume, a smell of tobacco, favourite flowers or similar. 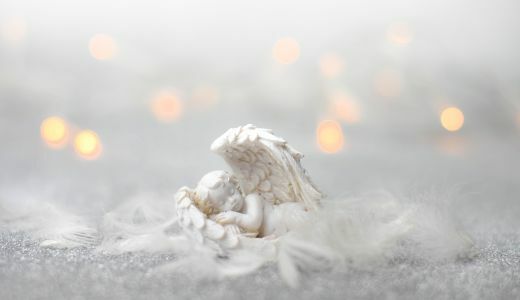 Angels may announce their presence with beautiful scents of blossom or incense. Always note any scent for which there is no ordinary explanation and realise it may be a message from Spirit. Animals can often be spirit messengers and birds frequently bring communication. Always note if there is a bird singing close to you, if one lands on your windowsill or seems to approach you. Flocks of birds can also be significant. Some people believe that birds carry the souls of those who have passed on. Notice the activity of birds near you and ask yourself what this might mean. The same goes for any animals. Your pets will often try to get through to you, so notice any unusual behaviour. In the wild all animals can bring messages, and sometimes this feels truly magical. Whatever animal activity grabs your attention, just take note. You don’t have to have the answers – just asking the questions will get you in tune. We examined the importance of synchronicity, dreams, apports, a voice in your head, physical sensations, scent and animal contact. If you wish to tune in to spirits, look out for these seven signs. However, if you have doubts, or want to be extra sure you’re close to Spirit, our team of intuitive Readers can put you in touch very quickly, so call without delay and your life will take on more meaning.